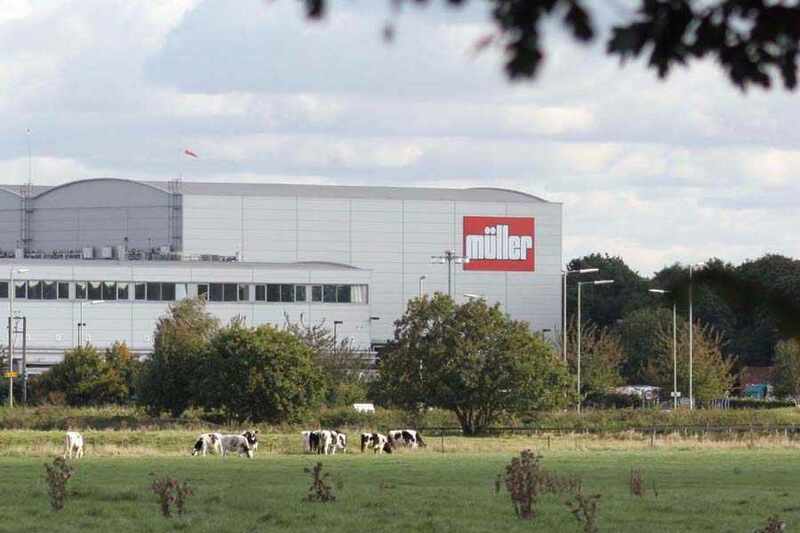 The new £17million plant, which will create 100 jobs, was built at the Muller Wiseman dairies plant on Shrewsbury Road, Market Drayton. The new butter making area was built within the existing bottling factory, creating a two-storey extension with 14 new silos. The plant will use 90,000 tons of cream each year. It will create up to 45,000 tons of butter, making it the biggest butter plant in the country. For ISD Solutions, the build consisted of approx. 1200m2 of panel and consisted of 4 main areas. The largest room is the Butter Making Room which is 4.75m high, the other rooms were the Process Room, Ro-Clad Room and the Evaporator Room. The Ro-Clad room was built on top of a mezzanine platform 4.5m high while the Process room was built beneath. 24 personal doors were also installed including a Bi-parting door and 3 double doors. The new £17million plant will create 100 jobs, it has been built at the Muller Wiseman dairies plant on Shrewsbury Road, Market Drayton. A lot of detail was required on the job due to the number of penetrations through our panels for ducting and pipes this required extra supports especially through our walk on the ceiling. A bulkhead was required around a stairway which penetrated the ceiling in the Butter Making Room. The cold store construction project made the local news.